James is experienced entertaining young and old alike. Keeping younger children focused and laughing take just the right blend of big tricks and funny interaction. 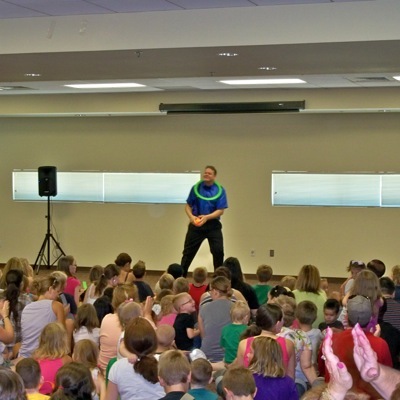 Physical comedy and routines with fun, upbeat music engage and entertain younger children. A performance of 30 to 45 minutes is ideal. 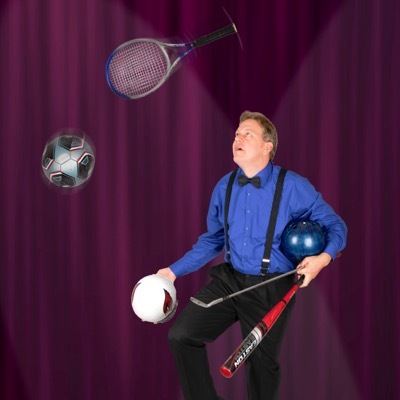 The bowling ball and sports finale provide big tricks without being too scary. 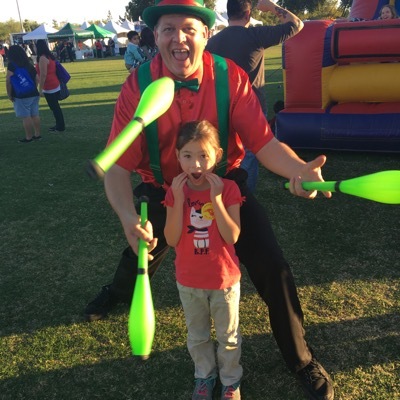 Every child gets a coloring page and photo op with the juggler after the show. one on one interaction and gets kids comfortable and ready for the show! Add time for DJ Services with fun and games! to burn off energy before, or to get involved after the show. For Children 7 and under, a 30-45 minute show is recommended, with the rest of the hour filled in with walk around entertainment before the show, and a photo opportunity one on one with each child after. feel comfortable following along as James leads line dances.